Our harnesses are a felt lined V collar style harness. 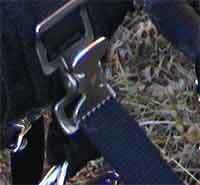 The reason we make and sell this harness is for the llama's comfort and easy installing. Just like horses, the collar is for pulling evenly across the shoulder area. When your llama is pulling a 75 lb cart and 1 or 2 adults, this is considered work. Your llama deserves a collar style harness. The harness is made for double driving also. The harnesses are very quick and easy to install. The spring clips allow snug adjustments to the smallest movements. Nothing over the head. The harness is ALSA and ILR approved. 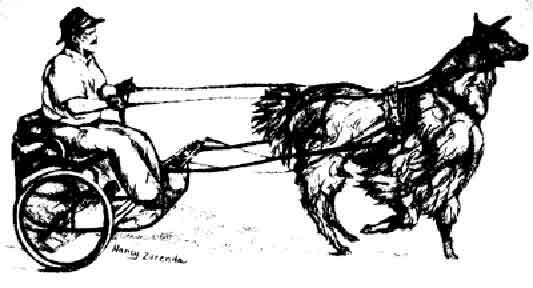 The harness below has the terret back saddle.